Joana Correia, Executive Director and Chief Scientific Officer presented last week at Cord Blood World Europe. Under the theme: “Umbilical cord blood supply for the development of Exo-Wound, an exosome-based product for chronic wounds” Joana talked about the technology behind Exo-Wound and the advantages and challenges of using exosomes as a therapeutic tool but also about the operational side of using Umbilical Cord Blood as a starting material, namely Exogenus’ successes in building a network of hospital partnerships to access donations for pre-clinical and clinical development and the challenges around the donation, collection and processing of UCB for clinical application. 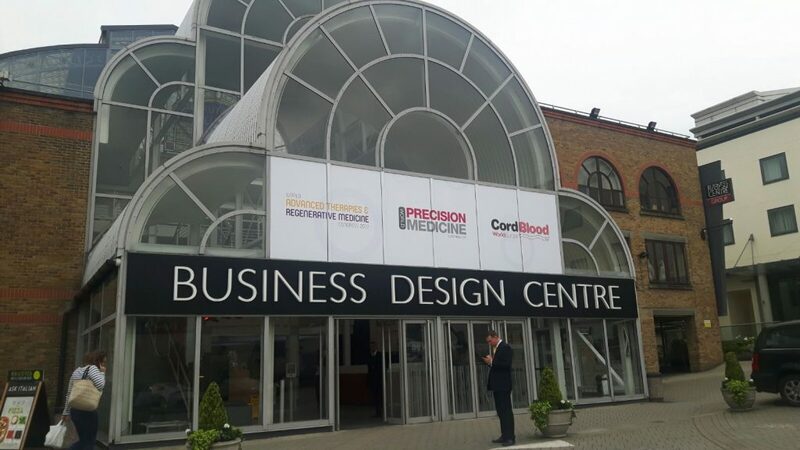 The conference took place in London between the 17th and 19th of May, and gathered more than 200 professionals from the cord blood community across commercial, clinical, research and developmental areas looking to discuss the needs and challenges of this growing industry namely building deposits, reducing costs, increasing utilisation, regenerative applications and improving quality. The conference, already in it’s 3rd edition aims to bring together public and private banks, clinicians, researchers, regulatory bodies and solution providers to tackle the challenges and opportunities facing this field of regenerative medicine. Taking place alongside the World Advanced Therapies & Regenerative Medicine Congress 2017, the event brough together 800 attendees and 150 of the industry’s leading pioneers and was the ideal setting to share our research & development project outcomes to date.